The only music tuition in Edinburgh for the whole family. For young people, mums, dads, grandparents. 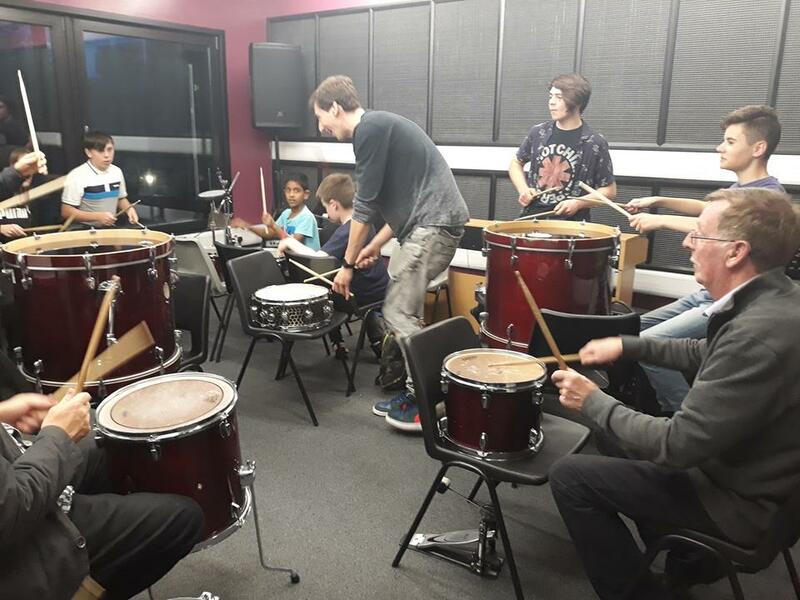 Our students are young people (aged 7 upwards) and their families, learning music together. Offering: Bass, Drums, Guitar and Vocals. Starting in September and running through to June. Each week students learn in small groups. New students can join in September through to January. The cost for each student is £40 per month. Lessons last for 2 hours. Students work towards an end of year show in June. Over the summer we also offer a range of activities to maintain learning, and provide holiday cover. We have a friendly, inclusive atmosphere, our tutors are experienced in working with young people with additional support needs. Music allows for self expression, it builds self esteem and self belief. Research shows that young people who learn to play an instrument do better in school. We want young people and families to enjoy music together, to have strong relationships, and to value music as an industry as much as a way to express yourself. We want all of our students to get to know new people, to challenge themselves and to learn new skills. We are a social enterprise, a community interest company and a not for profit organisation. Lead tutors: Callum Stevenson, Conal McIntosh, Kirsten Reekie and Ryan Cairney. Volunteers: Amber Prentice, Bethan Stuart, Ed Fraser, Howie Anderson, Jamie Solway, Joanna Cameron, Krystian Kostecki, Matty McKelvie, Stephen Corr and Stuart MacFarlane. New students start Dads Rock Academy in September through to January. To book your space click below. To book your space, or to find out more get in touch.